By buying this product you can collect up to 357 loyalty points. Your cart will total 357 points that can be converted into a voucher of Rs. 17.85. 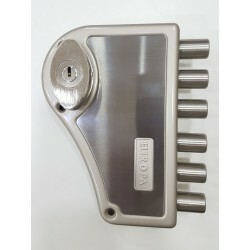 With 6 locking bolts, this lock is unparalleled in safety - it is equivalent two locks for the price of one. India's Strongest and Most Secure Lock - withstands 3 Tons Load in Crowbar Attacks. 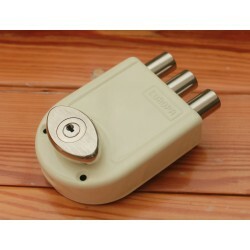 Smart Key with Floating Ball mechanism - 6 axes locking.